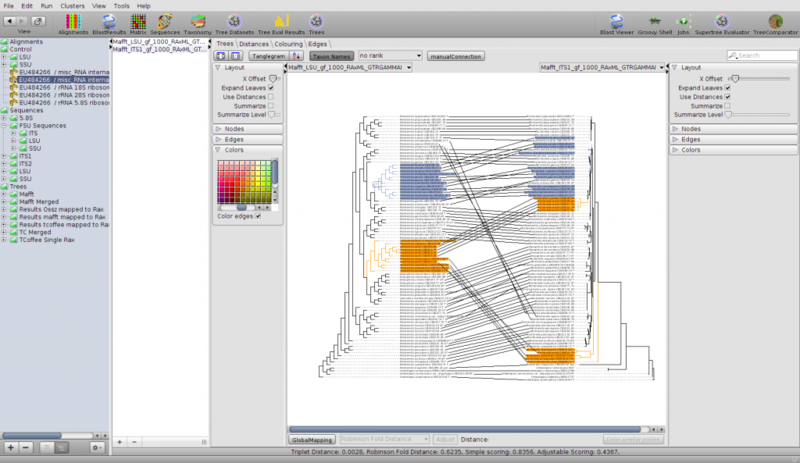 EPoS is a modular Software Framework for Phylogenetic analysis with a focus on algorithms, computational methods, data management, visualization, and usability. 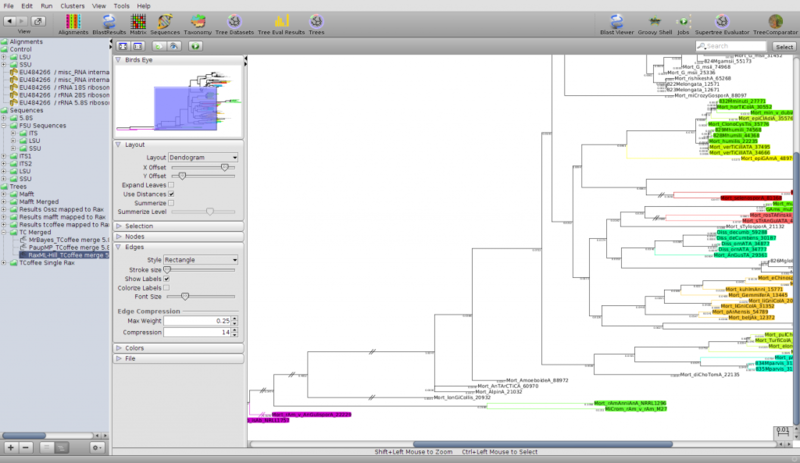 The core modules bundled with EPoS can manage all the basic data types used to create phylogenetic trees and store your data in the EPoS workspace. 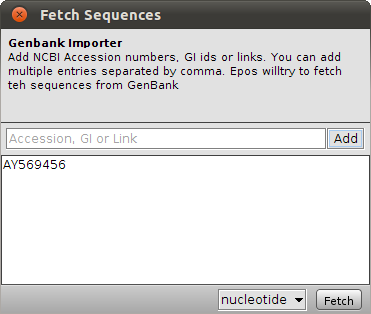 Sequences – You can import and export sequences from and to raw sequence files in different formats (fasta, genbank, embl, phylip, nexus,…) and you can fetch data from the NCBI using GeneId or Accession numbers. 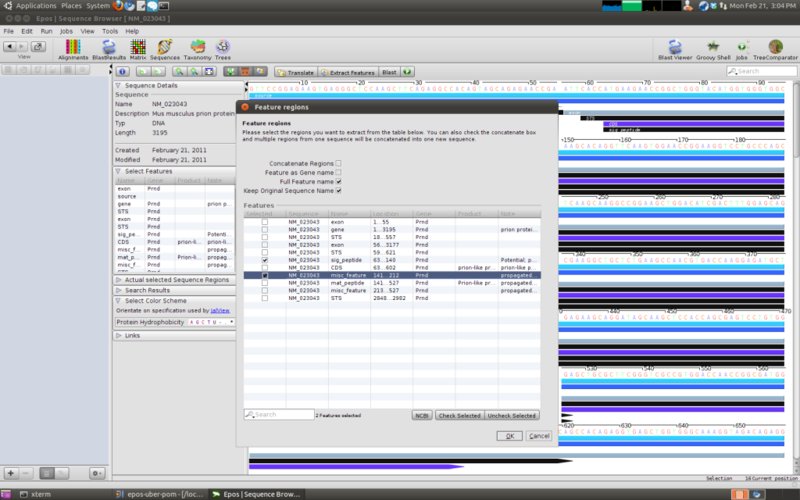 Bot, RaxML and MrBayes support multi gene analysis, and so does the EPoS Framework. 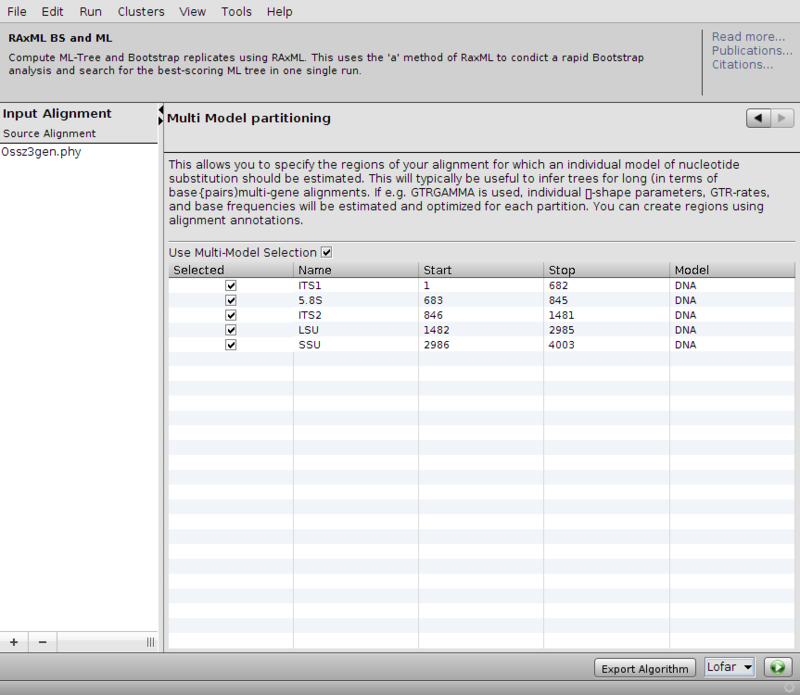 You can merge Alignments or manually annotate your alignment and than execute RaxML or MrBayes on on the annotated/merged Alignment. 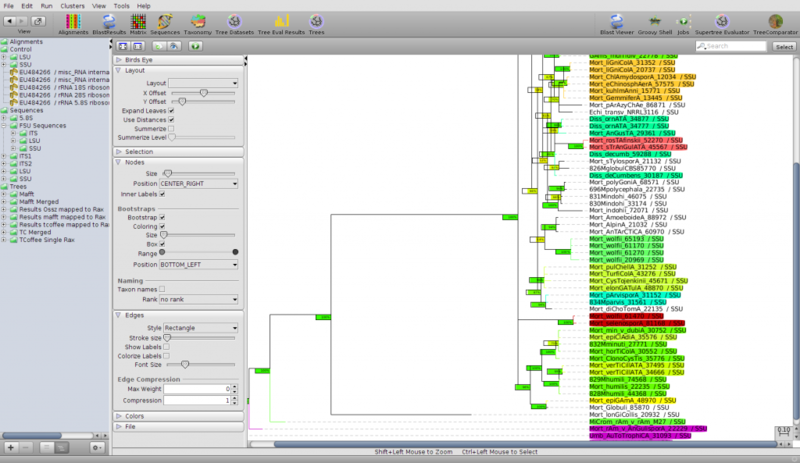 To analyse the resulting trees, we provide a sophisticated tree comparator, that can be used to compute distances between trees as well as a pairwise visual comparison. 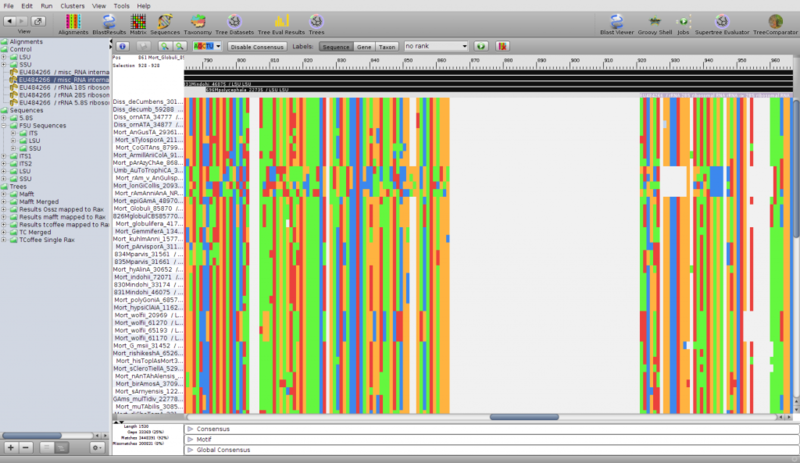 Taxonomy – The EPoS Taxonomy module allows you to create and manage a custom Taxonomy, or import Taxa from NCBI. 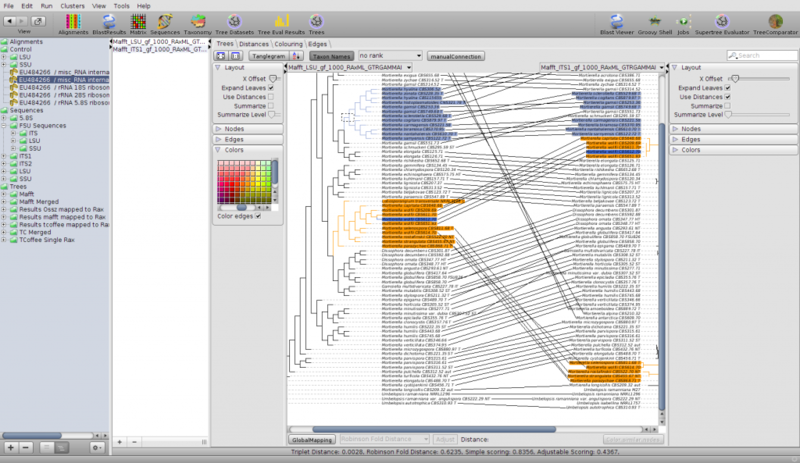 Sequences and Tree nodes can than be linked to Taxa to create an alternative naming scheme while keeping the original names. 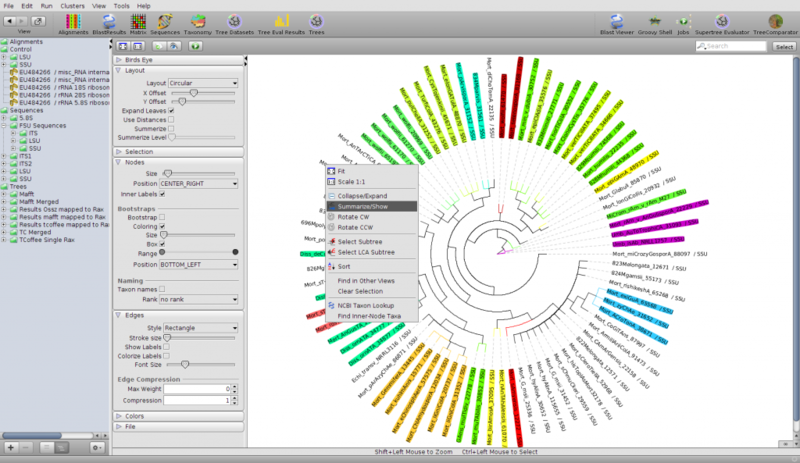 For example, with links to taxa, you can view your tree with different Taxonomic ranks (Species, Genus,…) and compare trees directly, based on the taxonomy, instead of manually editing the node labels. 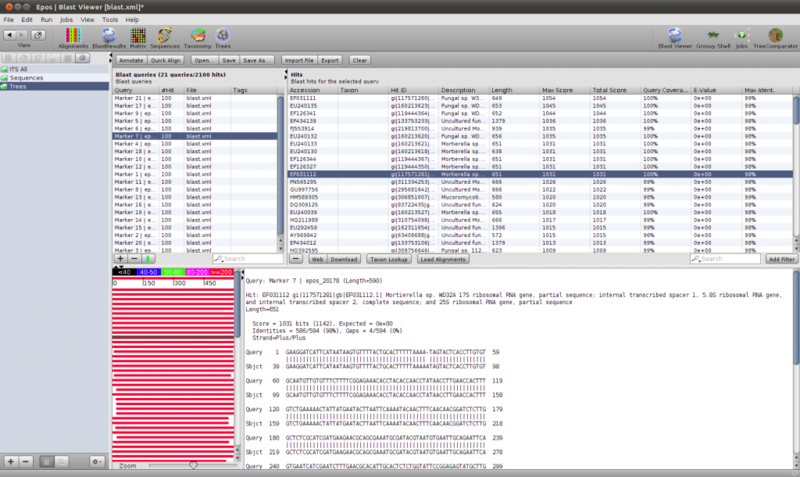 Blast - The Epos Core provides access to the NCBI Blast WebService as well as local blast installations. 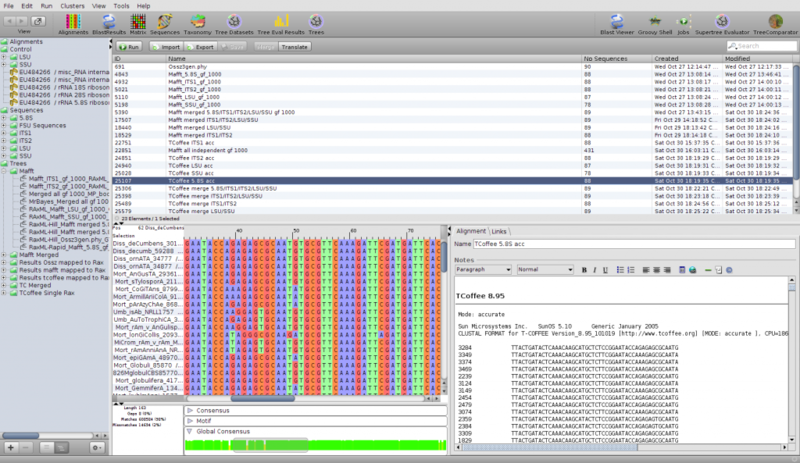 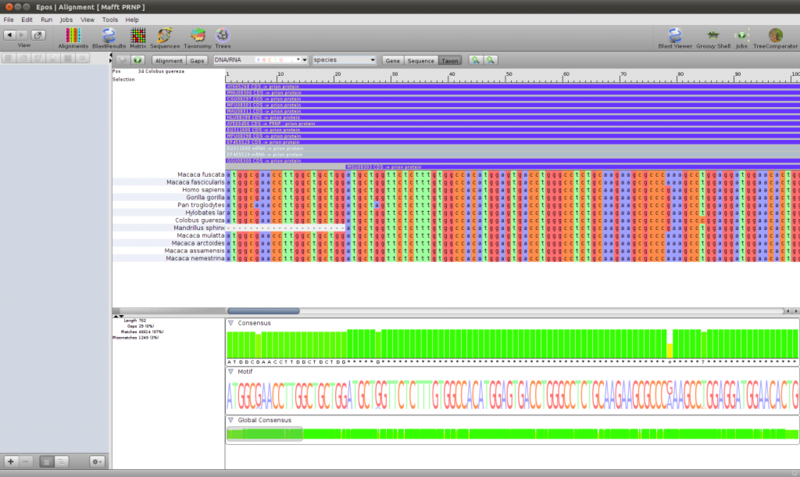 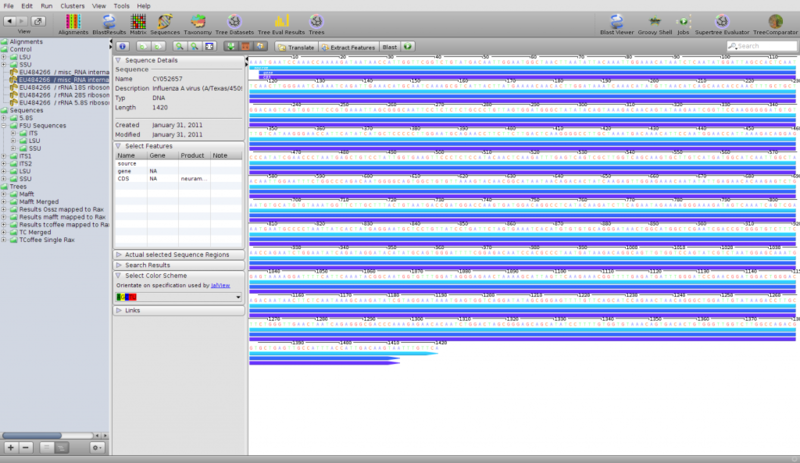 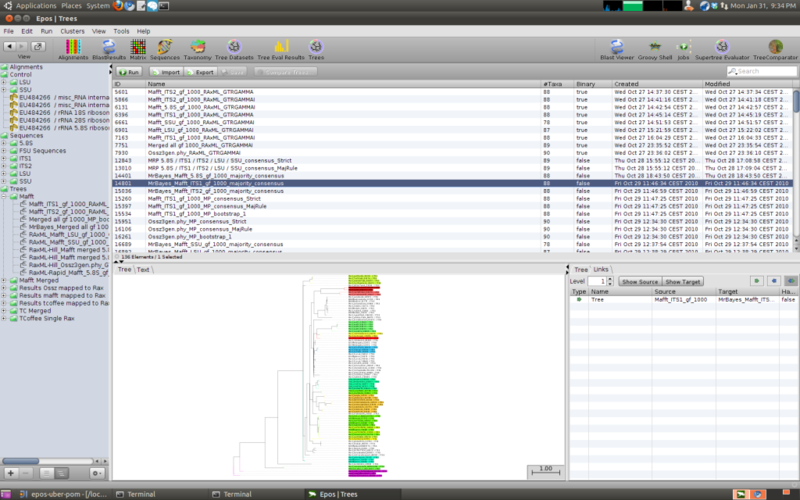 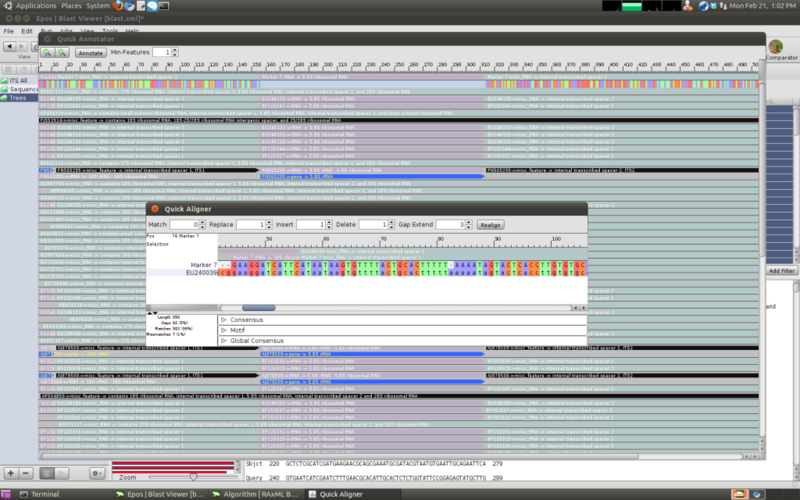 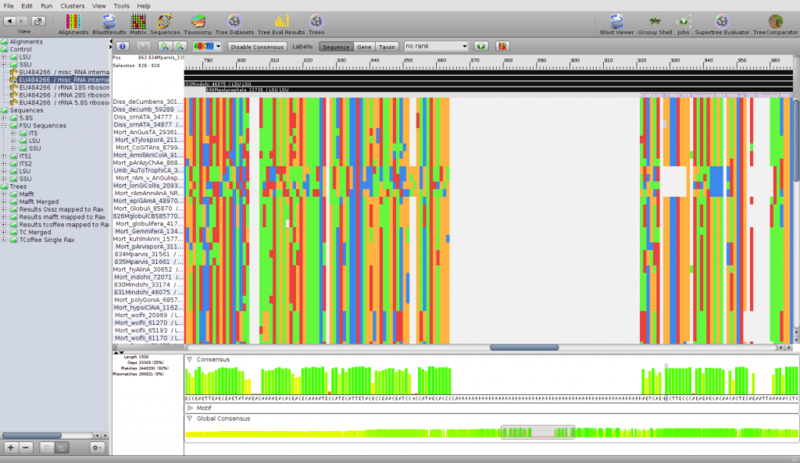 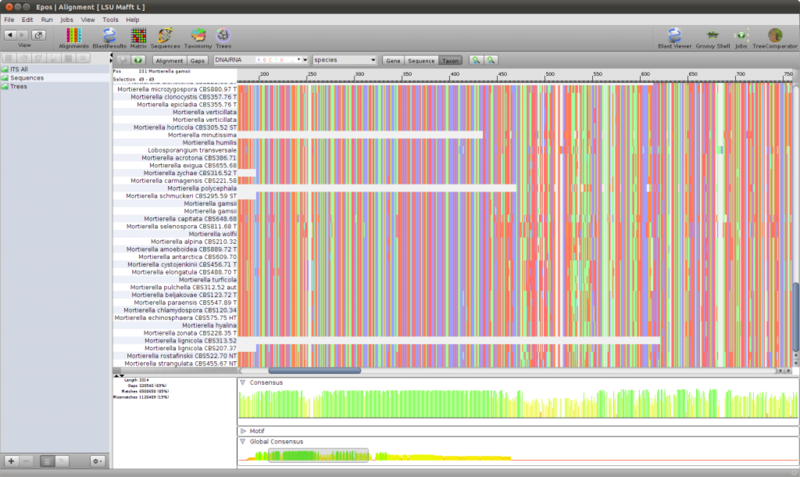 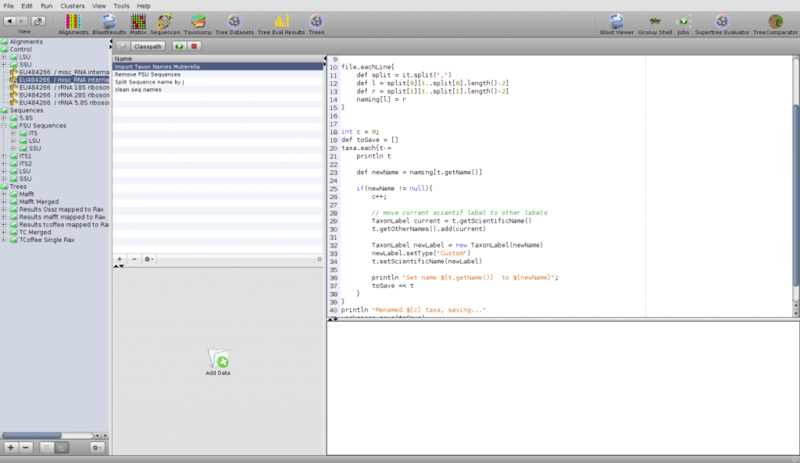 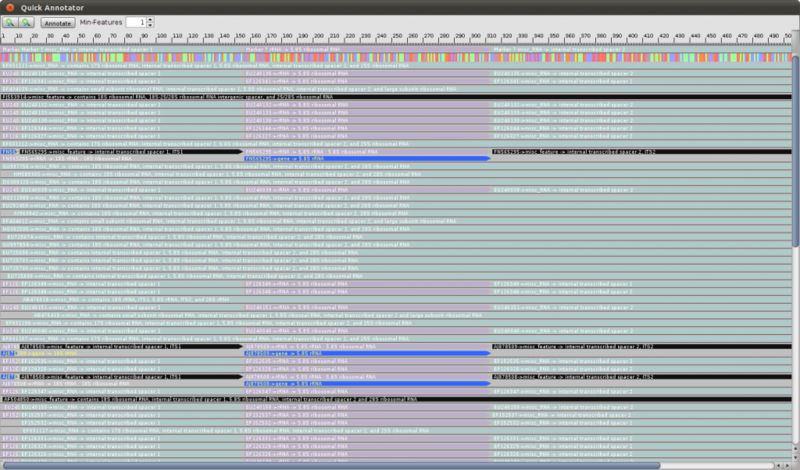 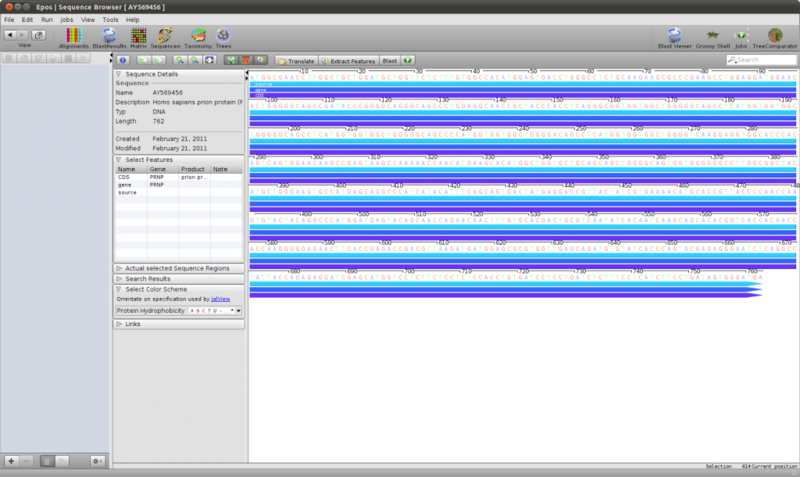 This allow you to blast sequences directly against the NCBI or create your own Blast Database from a set of sequences. 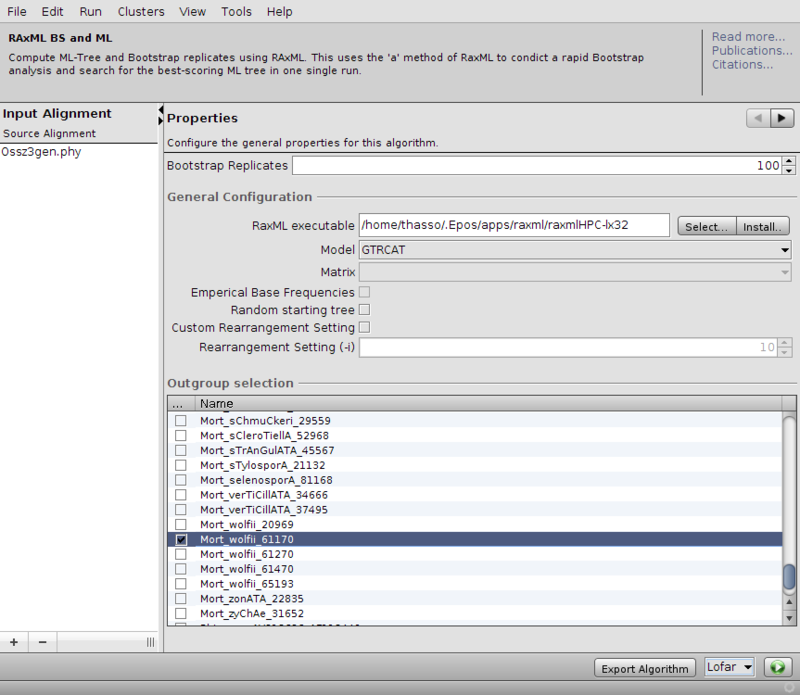 You can then import the results and brows the blast hits, while importing interesting hits directly into to Epos workspace. 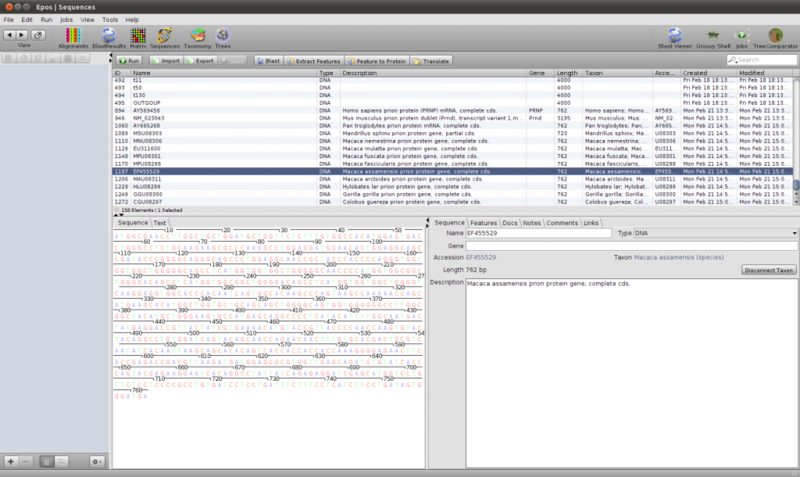 Beside the import of blast hits, you can also quickly annotate your Query Sequences based on the Annotations of the hit sequences. 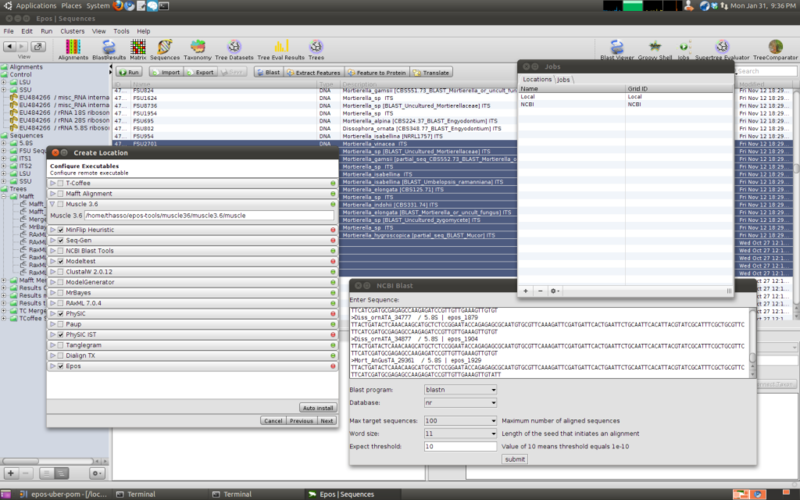 Epos supports automatic installation for most of the external tools.